During the iPhone event in September, Tim Cook pointed to Apple’s iWork suite as the best-selling mobile productivity apps on any platform. Back then, he also announced that the apps will be free for download to those who purchase an iPhone 5s or 5c. But the apps’ icon has remained unchanged since iOS 7 arrived and brought the much needed refresh. Earlier this month, rumours surfaced that Apple was preparing to revamp GarageBand and iPhoto. Turns out, alongside the icon redesign, Apple has updated its apps with new features and new UI for both OS X and iOS . 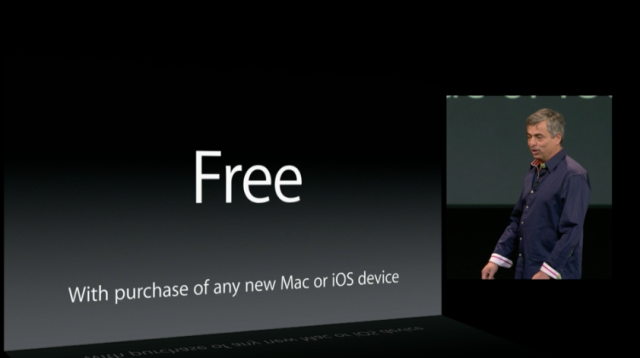 Furthermore, GarageBand has also become a free app for those purchasing a new Apple device. In other words, if you purchase an iPhone or iPad, you get iPhoto, iMovie, GarageBand, Pages, Number, and Keynote as a FREE download. All of them feature a new icon, which continues Ive’s effort to drop skeuomorphism. iPhoto features a brand new look on iOS and brings photo books to iPad. iMovie: features a cleaner, simpler look on iOS 7. Now you can select a movie and tap share. It brings desktop-class effects to speed up or slow down video, add picture in picture, on iPad. Pages comes with a brand new UI. Numbers: the redesigned apps features spreadsheets with object-based design, beautiful,interactive charts. Keynote: now features incredible new effects and animations. GarageBand bumps to 16 tracks, on 64-bit iOS devices, supports 32 tracks, comes with a new feature, called “Drummer”. The brand new iWork introduces a new, unified file format, delivering perfect document fidelity across Mac, iOS and iCloud. The iWork for iCloud beta enables real-time collaboration. The updated iWork suite allows users to create a document on iPad, edit it on a Mac and collaborate with friends in iWork for iCloud, even if they’re on a PC. 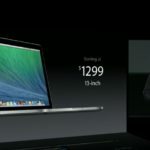 iWork and iLife for Mac will be available for free with every new Mac purchase, while existing users running Mavericks can update the apps for free from the Mac App Store. iWork and iLife for iOS are available for free from the App Store for any new device running iOS 7, and are also available as free updates for existing users. GarageBand for Mac and iOS are free for all OS X Mavericks and iOS 7 users. Additional GarageBand instruments and sounds are available for a one-time in-app purchase of $4.99 for each platform.